Microsoft is giving Office 2016 a reprieve of sorts, saying that the one-time-purchase suite will be allowed to connect to Microsoft's online services for three more years than ruled earlier. In April 2017, Microsoft proclaimed that applications provided by Office 2016 would be unable to connect to cloud-based Office 365 services after 13 October 2020. 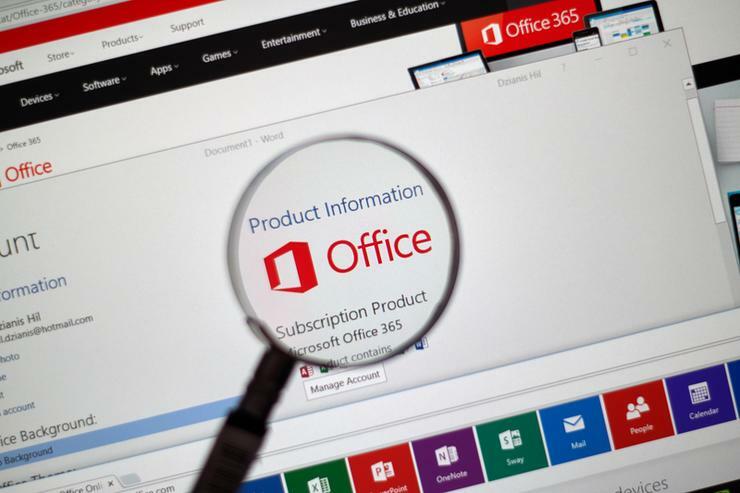 The ban on accessing services like Microsoft-hosted Exchange inboxes, OneDrive storage space and Skype for Business' conferencing was part of sweeping changes to Office's support statutes - all part of a push to get more customers to adopt Office 365 subscriptions. The October no-more-access date was derived from the end of Office 2016's mainstream support, the first five years of the usual decade. All future suites in perpetual license form - those for which customers paid a one-time, upfront fee and then were allowed to run the software as long as desired - would have the same limitation: If Office 2019 launched in early October of this year, say, it too would be blocked from connecting to services after its mainstream support expired in October 2023. But Microsoft had second thoughts, at least about Office 2016. "To give you more time to transition fully to the cloud, we are now modifying that policy and will continue to support Office 2016 connections with the Office 365 services through October 2023," wrote Jared Spataro, the head marketing executive for Office and Windows, in a post to a company blog last week. Microsoft did not repudiate the policy - that perpetual license Office can connect to Office 365 services only for the five years of mainstream support - but instead simply waived it in the case of Office 2016. Spataro did not give a reason for the change of heart. Typically, Microsoft cites customer feedback when it gives a reason for a retreat from a prior position; that may been the case here, too. Read more A new phone-like device from Redmond? Why, Microsoft, why? Nor did Spataro refute the rationale Microsoft gave more than a year ago when it instituted the new support-and-service rules. At the time, Microsoft spokesmen said things such as, "When customers connect to Office 365 with a legacy version of Office, they're not enjoying all that the service has to offer." Apparently, that's not as true in 2018 as it was in 2017. At the same time Microsoft relaxed Office 2016's restrictions, it also altered the system requirements for Office 365 ProPlus, the locally-installed applications included with an Office 365 subscription. In February, Microsoft said after 13 October 2020, the only version of Windows that would support ProPlus was Windows 10. Microsoft thus barred PCs running Windows 8.1 from also running Office 365 ProPlus after 2020, even though Windows 8.1 did not exhaust support until 10 January 2023. Spataro dismissed that ruling, too. "Office 365 ProPlus will continue to be supported on Windows 8.1 through January 2023, which is the end-of-support date for Windows 8.1," he said. In similar fashion, Windows Server 2016 will support ProPlus until October 2025. According to analytics vendor Net Applications, Windows 8 and 8.1 accounted for approximately seven per cent of all Windows in August. That number has been falling steadily, albeit extremely slowly.